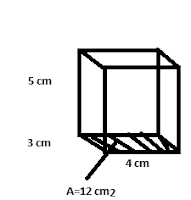 Determine the volume of each right rectangular prism. 8. Nina uses 15 centimeter cubes to make the base of the rectangular prism. Determine the volume if the prism has a total of 5 layers of cubes. Show your thinking. 10. A water through is in a shape of a right triangular prism with base area of 1250 cm2 and a height of 100 cm. How much water can be put in there before it overflows? 4. Determine the volume of each cylinder. 9. The Canadarm has a cylinder called a capture envelope that is used to catch objects floating in space. It is 20.3 cm in diameter and 10 cm deep. 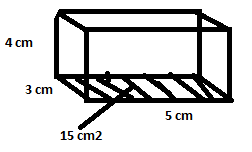 What is the maximum volume it can hold? 18. 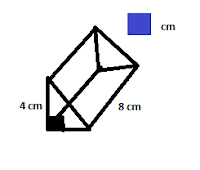 The volume of the triangular prism shown is 48 cm3. What is the volume of the missing measurement.